BillQuick Online users who are on an older version are having trouble accessing their online company file. Typically the automatic upgrade process can take a few minutes to an hour, depending upon the size of your company file. Prior to executing the automatic upgrade, we recommend you read the following best practices. Tip: Schedule your upgrade at a time when no activity will take place on your local BillQuick data file and BillQuick Online. We recommend that you notify all your BillQuick local and online users via email or memo informing them of the date and time you plan to upgrade. a. Download and install the latest version of BillQuick on the system that has the older BillQuick version. Click here to download the new BillQuick setup. b. When you start the new version of BillQuick for the first time, you will be asked, "Would you like to upgrade your database?" Click "Yes" to convert your older BillQuick database. c. After conversion is complete, verify your data in BillQuick. You can open list screens and view data, latest time and expense entries, invoices and payments. You can run the Aging report or Unbilled Time and Expense report to confirm that all data was converted successfully. d. If you have BillQuick desktop on additional computers, please install the latest version of BillQuick on those computers as well. When you start BillQuick for the first time, simply choose the option to “Open an Existing Company File” and browse and point to the new data file. 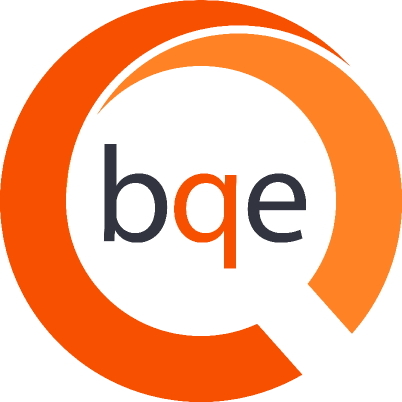 e. You must license and register latest version of BillQuick. You should have received the license and registration keys via email. If you did not receive the keys, you can contact us at sales@bqe.com. a. Log in to your BillQuick Online database by going to http://www.BillQuickOnline.com/defaulthost.aspx. If you have an Owner or Administrator account, you will be prompted with the automatic upgrade notification. b. Click on the "Proceed to Upgrade" button. Based on your data file size, it can take from a few minutes to an hour. Be sure to keep your browser window open until the conversion process is complete. c. After conversion is completed, verify your data in BillQuick Online. You can open list screens and view data, latest time and expense entries, invoices and payments. You can run the Aging report or Unbilled Time and Expense report to confirm that your data was converted successfully. a. In order to sync data between your BillQuick desktop and BillQuick Online data file, you need to install the latest sync tool. Click here to install the latest sync tool. b. Install and run the sync tool. c. Add a few time entries in your online database and sync the data to confirm it is working correctly. If you have any questions or issues, please contact us at techsupport@billquickonline.com.